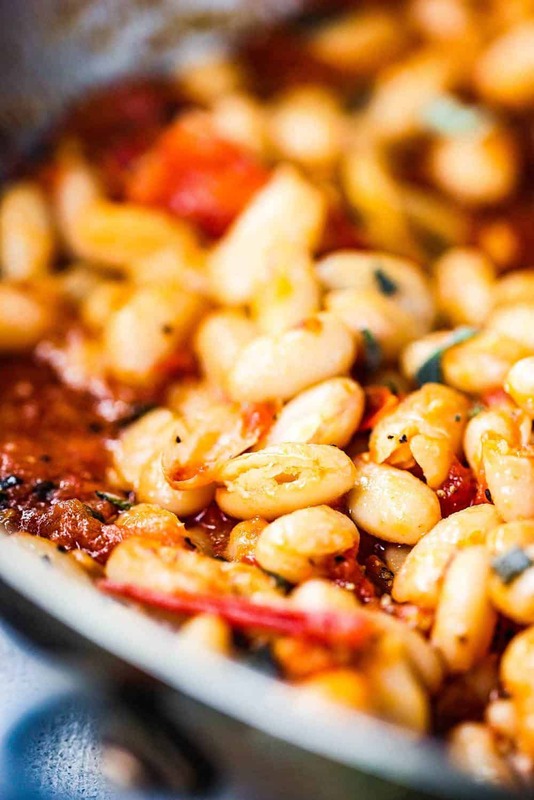 Sautéed White Beans with Garlic, Sage and Tomatoes is a recipe that you’ll come back to time and time again. 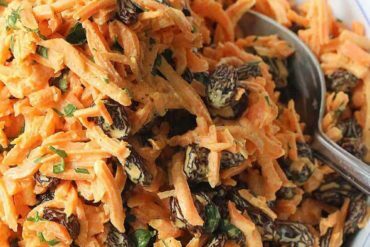 It is such a wonderful side dish to so many main courses, but it’s so delicious on its own, you could easily make a meal out of it with a nice loaf of crusty Italian bread, a leafy green salad, and a glass of wine. 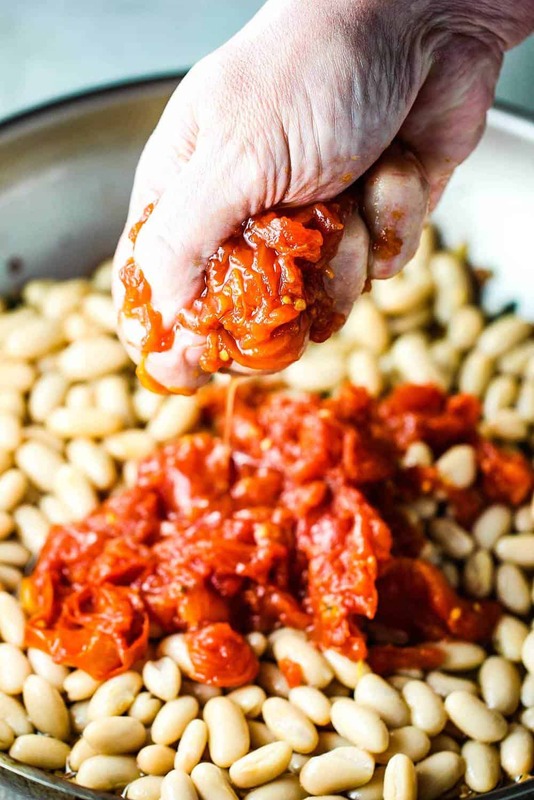 You can easily skip soaking the beans overnight and use canned beans to save time. Or, you can soak overnight. Either way is great! The garlic and sage really bring this dish to life. Be sure to sauté the garlic until it’s a golden brown. But don’t let it burn! And of course cooking with a nice dry white wine enriches the flavor even more. 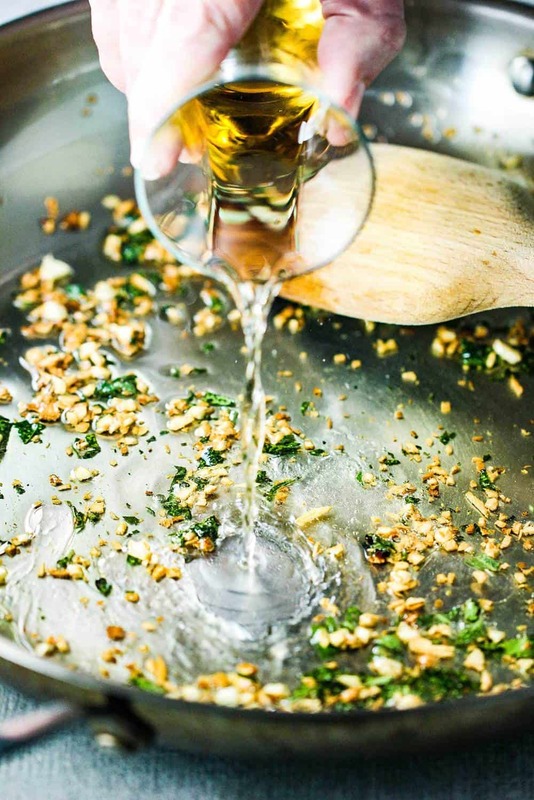 Pour only a quarter cup into the sauce pan, and then pour a nice glass for yourself. You deserve it..you’re making something spectacular! 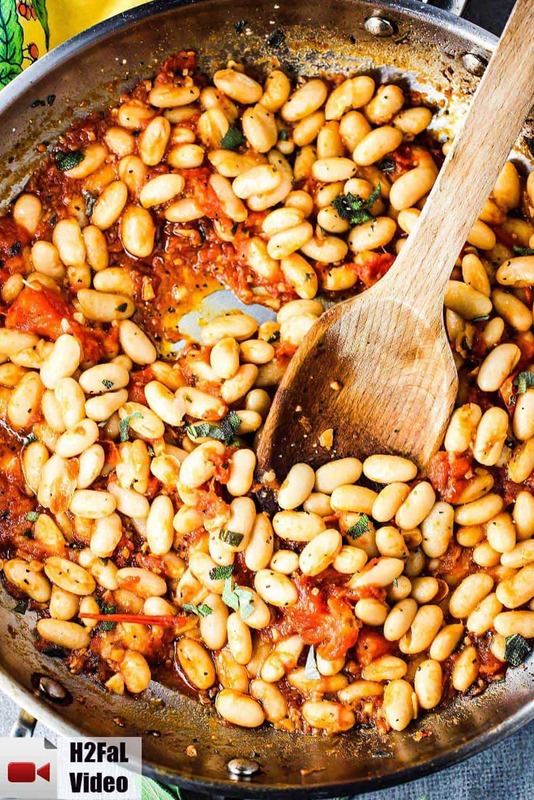 The flavors of this Sautéed White Beans with Garlic, Sage and Tomatoes are quintessential Italian. I absolutely love using certified canned whole San Marzano. These tomatoes come from the rich soil at the foot of Mount Vesuvius in Italy and they are canned at the height of their season. Read more about them here. Legend has it that the tomatoes are best when squeezed into the skillet with your hands. Why take a chance? Squeeze away! And it’s kind of fun!. Not many recipes are this easy to prepare that still produce such flavorful and amazing results. I get hungry every time I think about this dish. Within no time, I’m running to the pantry to get the simple ingredients. This is definitely one of the Loon’s favorite dishes. There is something so soothing about beans and tomatoes simmering on a stove. Steeped in history and layered in flavor and texture. We just love beans of all kinds. 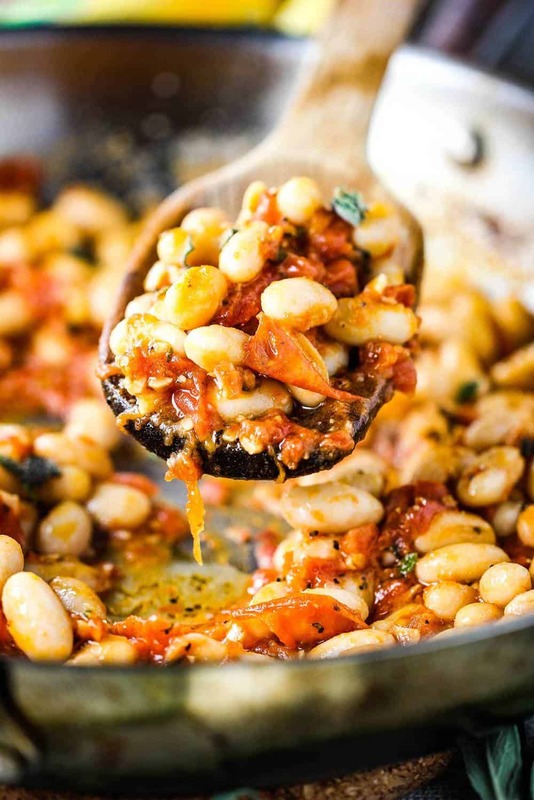 But there is something about cannelloni beans that seem extra delicious to us. I know the history of beans doesn’t really sound fascinating, but actually it is. Read this interesting A Selective History of Beans article from Republic of Beans. 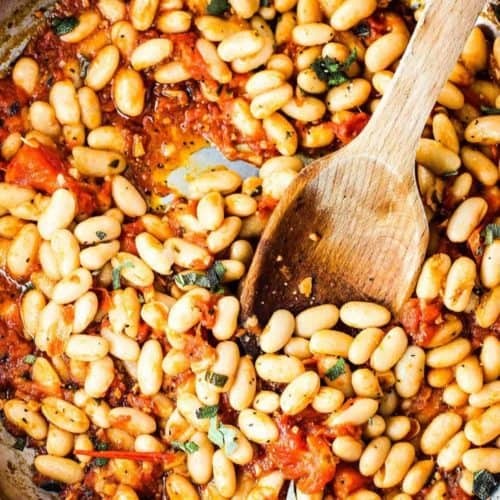 As mentioned, this Sautéed White Beans with Garlic, Sage and Tomatoes recipe is the perfect side dish for so many wonderful main courses, such as our Mediterranean Tuna Steaks. If this doesn’t make your stomach growl, well…I don’t know what to say to that. Because this is one of those dishes that actually tastes even better than it looks. And it is a gorgeous plate of yumminess! 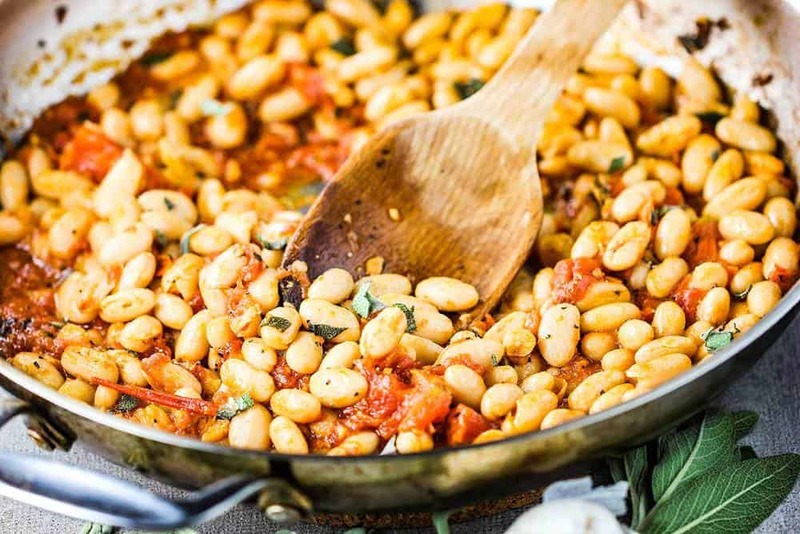 This Sautéed White Beans with Garlic, Sage and Tomatoes couldn't be easier to prepare, but is so full of robust flavor, you won't believe how quickly you'll be getting this to your table. Simple ingredients and wonderful flavors. It is wonderful served warm or at room temperature. Drain beans and re-fill with fresh water in same pot. Bring to a boil and cook for 1 1/2 to 2 hours, or until beans are soft. Drains beans, reserving about 1 cup of liquid. 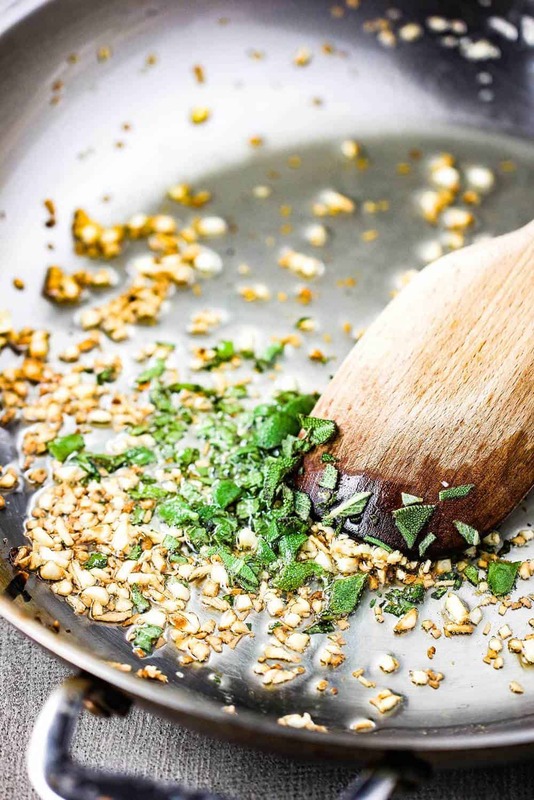 In a large skillet over medium heat, warm the olive oil. Add the garlic and sage and cook until lightly golden, about 2 minutes. Add the wine and cook until nearly evaporated, about 3 minutes. Add the beans and the squeeze the tomatoes into the beans with your hands. Season with a healthy pinch of salt and pepper. Simmer for 15 minutes, adding reserved liquid if becoming dry. Transfer to serving bowl and serve at once, or serve at room temperature. This recipe is amazing, loved it and will be making it often. Simple and delicious. I’m thinking of doubling the recipe and adding some fresh spinach and serving in a bowl with brown rice! I’m doing this tomorrow. I love all forms of protein and this light recipe has me swooning! Thanks, Tracee!! 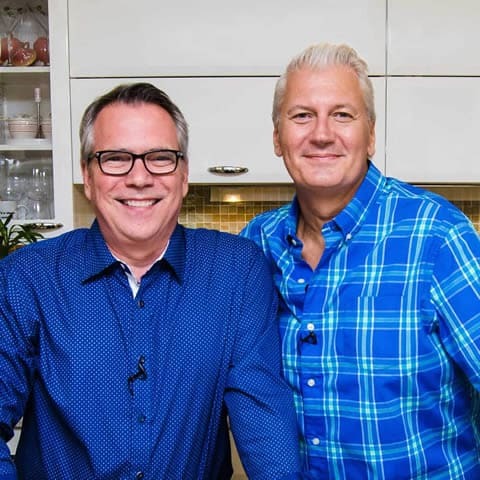 This recipe will double perfectly. We do that often when we are serving at a dinner party. And it’s always a hit! Let us know what you think if you make it!! My grandmother used to prepare this recipe as my after school snack, sans wine. She would sometimes add some bitter greens, fresh from her garden. And she would ladle it over a slice of her homemade bread. All the other kids got sugary treats, but I believe she put me on the path to healthy eating. Love you guys! I try to eat lots of beans since they’re so healthy, but I don’t love them. However, you made me CRAVE them with this recipe! Thank you. That’s so awesome, Beth!! These beans really are so flavorful and fulfilling! Who knew you’d ever crave beans! Ha!! But they really are yummy!! This was delicious! I just moved to Italy and bought white beans at the farmers market, hoping I could figure out what to do with them. Its rare I like my own cooking, big Brav-o! Oh my goodness, this was delicious! Even my bean phobic friend liked it. I paired it with pork chops w/onions and apple and wilted spinach. Great dinner combo.